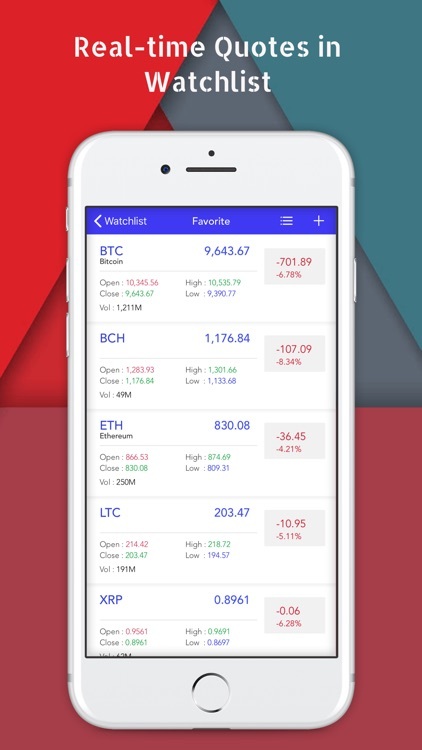 Crypto Top Chart tracks crypto coins and portfolios. Powered by an A.I. 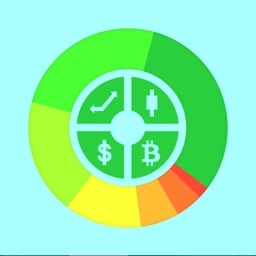 based rating system, Crypto Top Charts evaluates the relative technical strength of cryptocurrencies in short/mid/long terms. 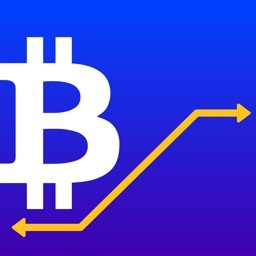 The technical strength rating helps cryptocurrency investors to find the best coins to invest, to time the entry and exit opportunities and to develop possible hedging strategies. 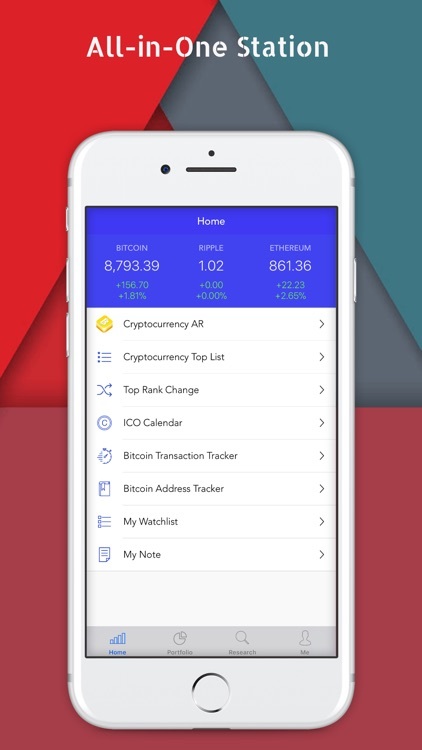 Crypto Top Charts is a must-have blockchain tracker for active crypto players. 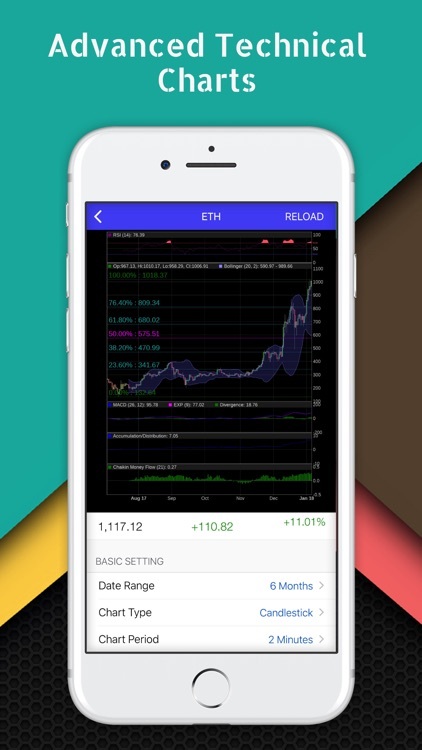 It supports nearly 2,000 crypto currencies/coins/tokens in real-time, with advanced charts, high-performance portfolio tracker, intelligent portfolio alerts, and many powerful analyses. 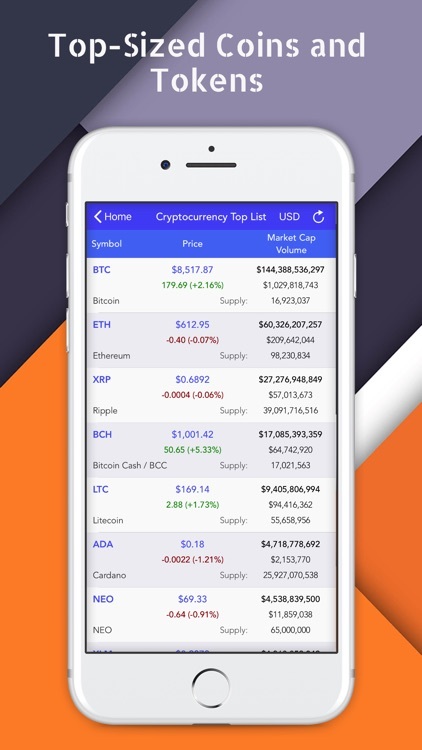 Crypto Top Charts starts with a list sorted by the market cap of each coin, which helps you monitor the individual strength and trend. 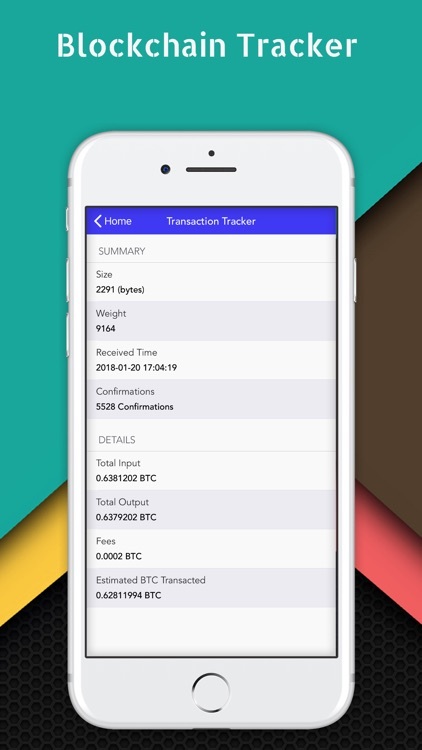 For those crypto coins that you are interested in, you may simply add them to a user-friendly watchlist and track them with advanced quotes anytime. 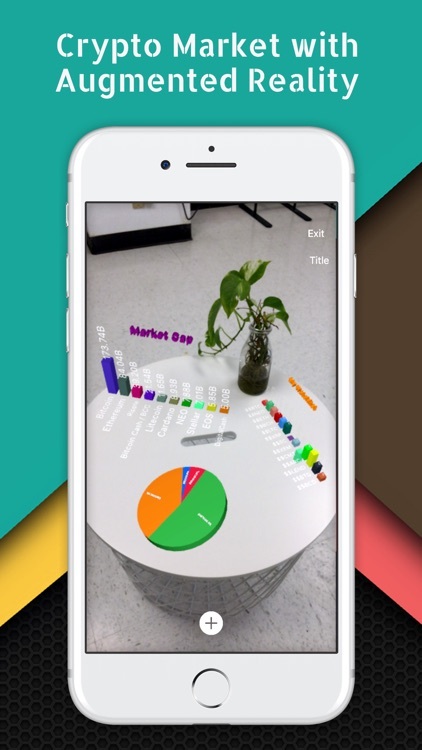 The exciting Augmented Reality (AR) feature for the Cryptocurrency Top List lets you view more data and in a more detailed way. The screen of your iPhone is no longer the limit. 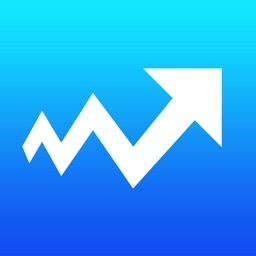 Easily add and place top list charts anywhere, on the desk, floor, sofa, countertop, car hood, and so on. 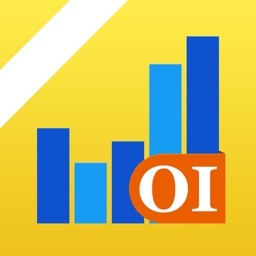 Walk around the charts, study the charts from 360-degree angle, and get details. 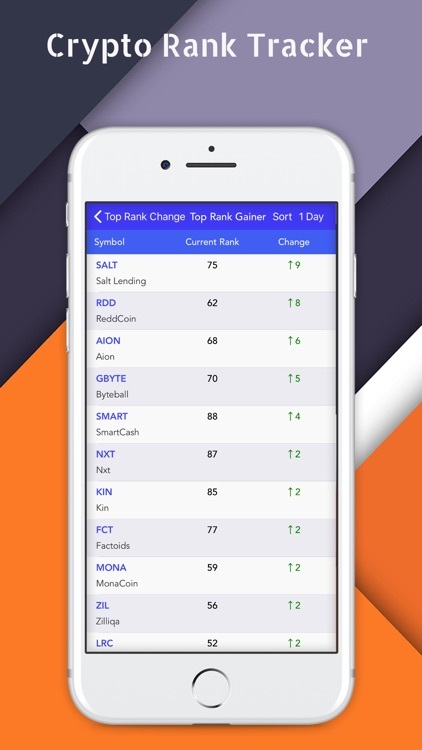 You can also check the Cryptocurrency Top Rank Change list. 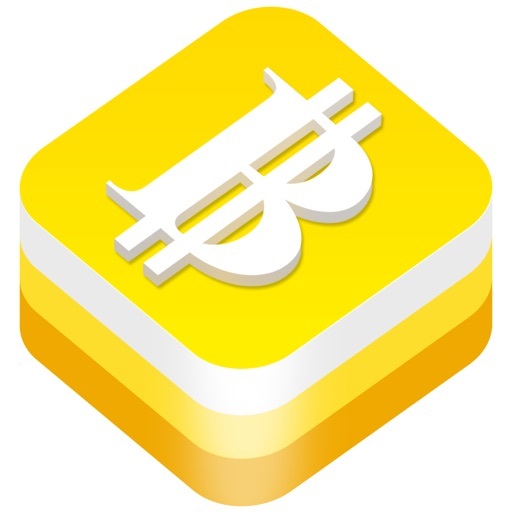 Live tracking of Top Rank Gainer, Top Rank Loser, Newly Rise into Top 20, 50, 100, Newly Drop outside Top 20, 50, 100, and more. View the movement of customized time range. 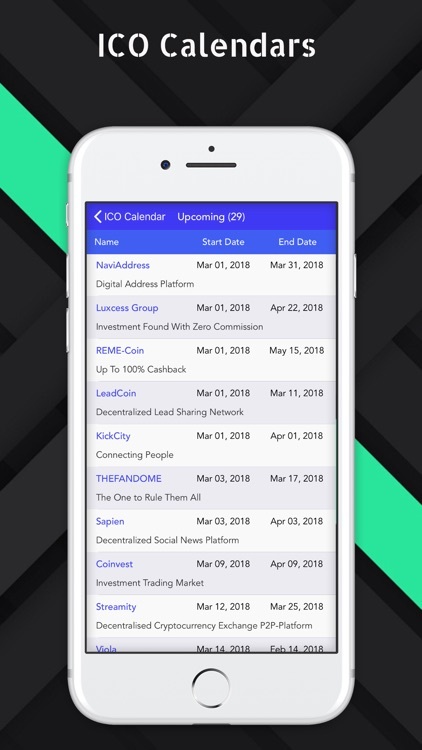 Check ICO Calendar and view rich information for various Initial Coin Offerings, e.g. the key figures, the team, the description, and so on. Besides advanced quotes for crypto currencies, coins, tokens, you can view high-resolution Advanced Charts in details by playing with hundreds of TA indicators with adjustable parameters, automatic Fibonacci retracement lines, moving averages, price bands, pivot points, overlay settings, and so on. Main coins supported: BTC (Bitcoin), ETH (Ethereum), XRP (Ripple), BCH (Bitcoin cash), LTC (Lite coin), and hundreds more! 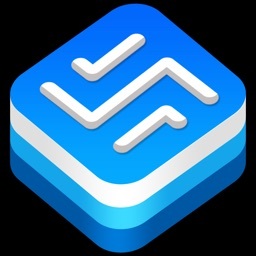 Super fast and easy-to-setup portfolios. Allow management of multiple portfolios and tracking of the value, performance, profit, loss, and changes in real time with tons of powerful tools and charts. You can also get very personal with the portfolios, e.g. 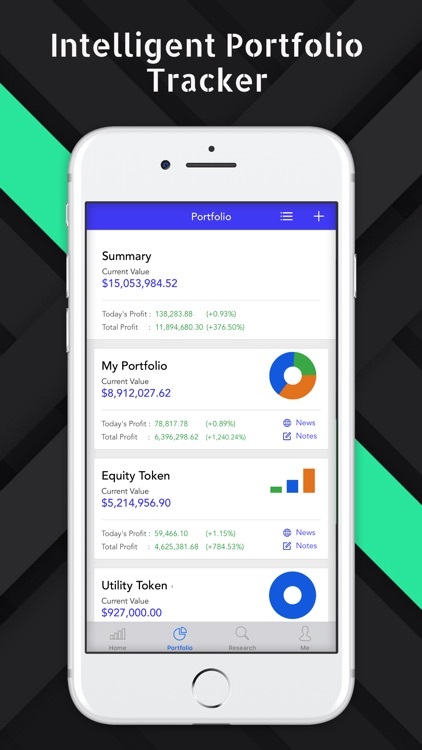 take your own research notes, customize background image for each portfolio, easily adjust the contents and display order for the holding positions, cloud-based platform to sync your portfolios among multiple devices, and more. Advanced Chart Plan with advanced automatic fibonacci chart, multiple TA indicators, moving averages, as well as many other TA analyses.